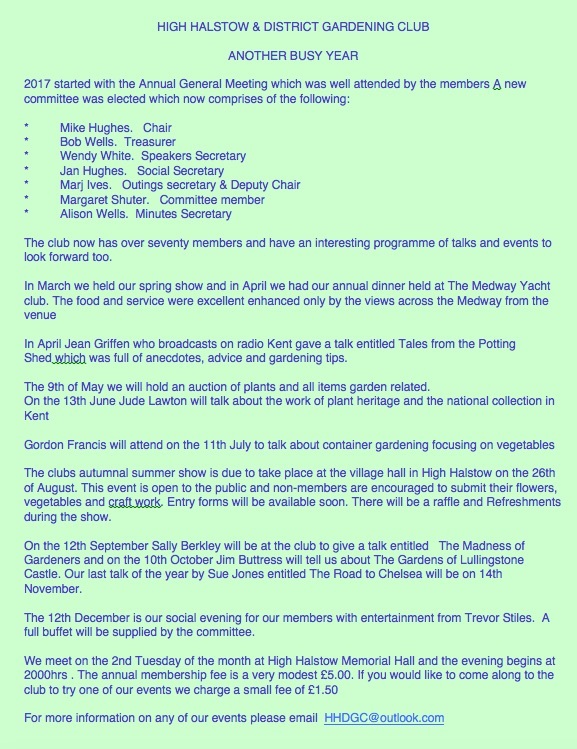 High Halstow and District Gardening Club meet for 11 months of the year in the Memorial Hall on the 2nd Tuesday of the month at 8p.m. There is a Spring Show in March for members only. Our Annual Show in August which is held in the Village Hall, is open to everyone to enter. We invite speakers to talk on their specialised subjects, i.e. Roses, Shrubs, Clematis, Growing Vegetables, etc. This entry was posted in Local Groups and tagged HHGC, High Halstow & District Gardening Club. Bookmark the permalink.